The Nintendo 64 was in a class all on its own. It was one of the last consoles ever to use cartridges and featured some legendary games such as Legend of Zelda: Ocarina of Time, 007 Goldeneye, Perfect Dark, Fable, and Pokemon Stadium. Now you can play those classics on your Android devices. Let’s take a quick look at the best N64 emulators for Android. It’s worth noting that many of these use the Mupen64 open-source project as a base. 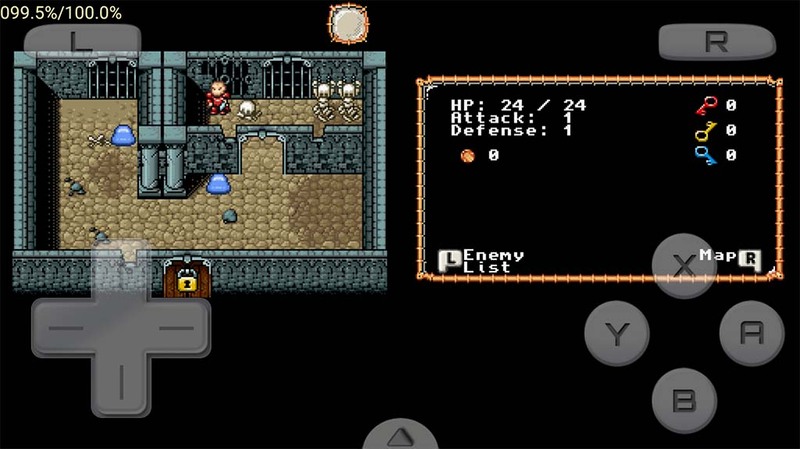 Here are some more emulators you might like! ClassicBoy is one of the better multi-system emulators. It supports the NES, SNK NeoGeo, most Game Boy systems up through Advance, Playstation, and Nintendo 64. Each platform has its own set of features along with a set that works on all of them. Some of those features include save/load states, gesture controls, sensor support, and more. The N64 emulator portion works okay. There are some stability issues here and there. Thankfully, you can try it before you buy it. MegaN64 is one of the more popular Nintendo 64 emulators. In fact, it's the most popular as far as we know. It uses the Mupen64 open-source emulator. However, the developers have added tweaks, improvements, and other things. The result is a fairly decent experience overall. There are some compatibility issues and stability issues. However, it feels like they're less common with this one than most other ones. It hasn't had an update in a couple of years. We think this one might be abandoned. On the other hand, it is entirely free with only a little bit of advertising. It should work okay for some people. Mupen64 is a free, open-source N64 emulator. It features decent compatibility, the basic emulator features, and more. This is the one that all the others use as a base. Thus, you can guess what kind of experience it is. It doesn't get updated on mobile anymore. However, you can search for Mupen64 in Google Play and find a bunch of Nintendo 64 emulators that use this one's code. The $0.99 version is an optional donation to support development. Mupen64Plus FZ is one of the newer N64 emulators. It's also not easy to use. The game includes tons of files, video profiles, and other stuff. Some games work with some profile setups while others don't. Most games work on this one. However, it does require some playing around. The developer has a good guide linked up in the Google Play description to help. Otherwise, the emulator features various plugins, the usual emulator stuff, and more. This is the one we recommend first. It's one of the few that still gets regular updates. RetroArch is one of the better N64 emulators. It actually supports a ton of different systems. Players download cores that work as system emulators. It's a little difficult to use. However, it works great once you get used to it. It can auto-scan for save files, save and load states, remap controls, load cheat codes, and a lot more. It's also entirely free and open-source. There are over 80 things that RetroArch can do. It's truly impressive. It just may take a bit to get everything working. Thank you for reading! Here are a few more recommended emulator lists! If we missed any of the best N64 emulators for Android, tell us about them in the comments! You can also click here to check out our latest Android app and game lists!